Talk Nerdy To Me: An Upgraded View-Master? 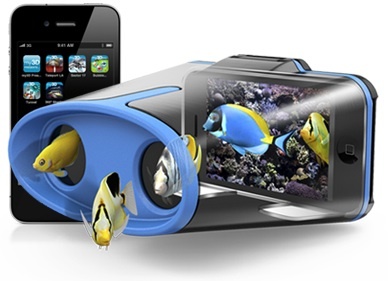 Hasbro announced today My3D a $34.99 which turns your iPhone or iPod Touch in to a 3D viewer. It is available in blue/black or white/blue at Target beginning April 3rd. It has seven free apps available that are made specifically for the device - this includes 360 Sharks which provides an immersive underwater experience and Teleport L.A. which gives you 360 views from the Santa Monica Pier. 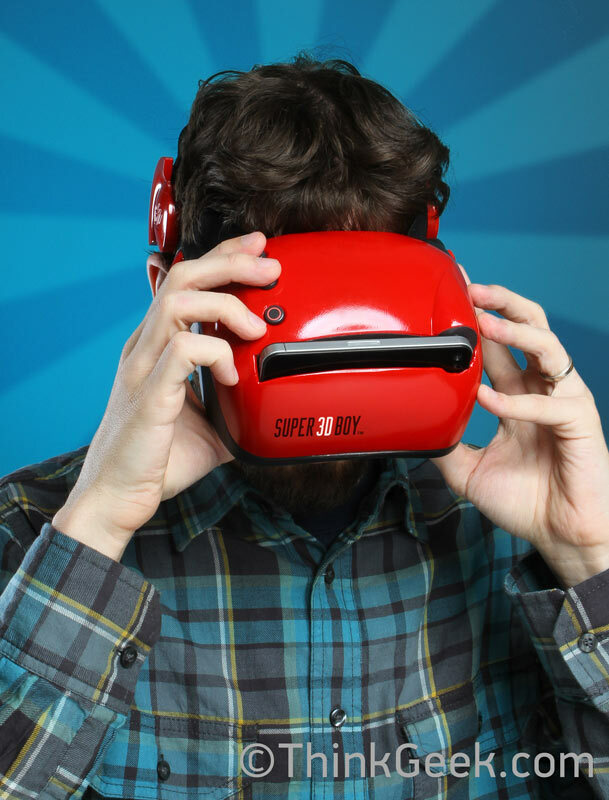 I had an exclusive hands on with this and thought it was pretty interesting - it reminded me of my View-Master, almost exactly, just with animation and ... bulkier? Aren't things suppose to get smaller on an upgrade decades later? First, not sure though how long a kid would really hold this up to their face. Second, this product will have a tough time finding a target demographic. The website shows kids playing with it that appear to be 17 - by that age they are on serious consoles not bulky plastic accessories. If a 17 year old wants a quick fun fix they'll go to a $0.99 app on a device they already have on them. With that said, younger kids are also in to more intuitive gadgets (think Nintendo 3DS) and for a kid that is too little a mom won't be handing over their iPhone. Third, I will say I think the price point is right but again not sure the overall demanding want or need. Last, video quality. I didn't exactly feel like I was at an iMax or seeing something that I had to show someone. It was more so a cool effect on a novel product. April 1st probably not the best day to announce a product.